Lantern & Larks has re-opened for the spring, the season is underway and we're welcoming our lovely glampers back onsite. The Easter holidays are almost upon us, what a wonderful time to go glamping. Really stretch your legs after a long winter of being cooped indoors or a long term sat in classrooms! Because we're situated in such stunning countryside locations, you'll have an endless supply of running space at your disposal. With the sun just starting to peek through and the weather finally turning milder you can don your walking boots and go for a romp in the great outdoors. Whichever of our sites you choose to stay at there are great walking routes to enjoy, wildlife to spot, and an array of nearby attractions to keep the whole family busy. Whether the coast is calling you from our Sweffling site, or the large nature reserve close to Exton Park is tempting you with all its birdlife, you're sure of an adventure this spring. The Quantock Hills are bursting into life in Somerset and the lambs are starting to appear in the fields around Bleasdale. 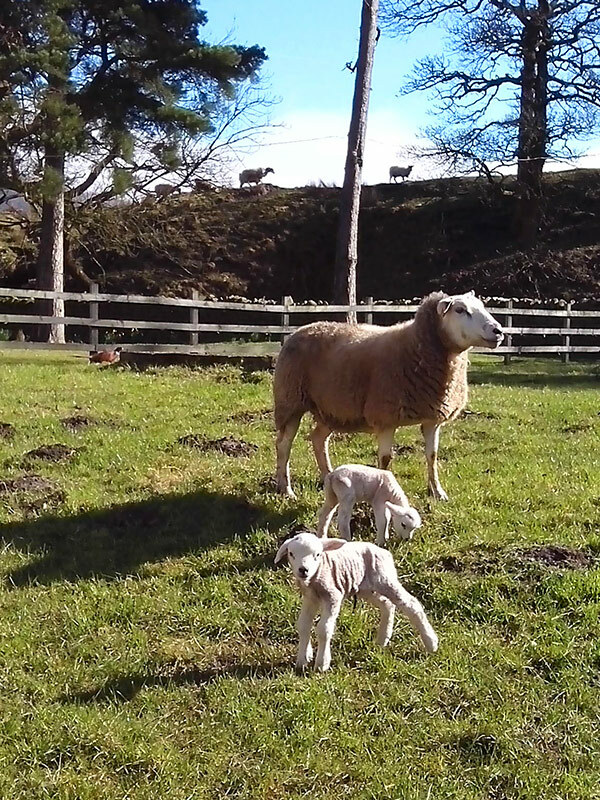 This week saw the first set of twins to be born at Bleasdale. The lambs were slightly early, but so far all are doing well. They're the first of many spring lambs due at Bleasdale this year, so keep a look out when you're there. Remember our sites are dog friendly, so bring along your four-legged friend and get the whole family involved! We're still offering an excellent 10% off breaks taken between this Friday 25th March and Monday 11th April. But spaces are filling fast, so hurry if you don't want to miss out!